The Cannes Film Festival has the reputation of being the most glamorous event in the world but the jet-setting world of Marbella is certainly a close contender. With its yacht-lined harbour A-list celebrities and designer shops, Marbella has all the ingredients to host a glitzy and stylish event. The Marbella International Film Festival is a highlight of the events calendar in the town and attracts film stars and directors from all over the world. 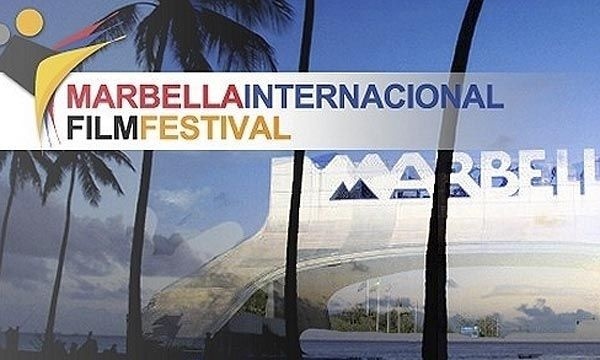 But rather than showing well-known films which already receive a glut of publicity, the Marbella International Film Festival focuses on showing an alternative programme which may not otherwise receive the commercial exposure which it deserves. Below is a guide to what you can expect if you stay in Marbella during the event. The Marbella International Film Festival has been running for nine years, having first been launched into the public eye in 2006. The Festival was created as the brainchild of New World Trust, a body whose main aim is to provide advice and support to artists from countries all over the globe. The New World Trust aspire to help artists secure a platform in order for their work to be seen , providing capital for startup projects and providing practical help and assistance with the commercial aspects of their work. This approach has been chosen as many artists have talent in abundance but lack the knowledge, connections or awareness to be able to successfully market what they have. The trust provides these budding artists with finance and business management tools help with marketing, networking and distribution and finding an agent. 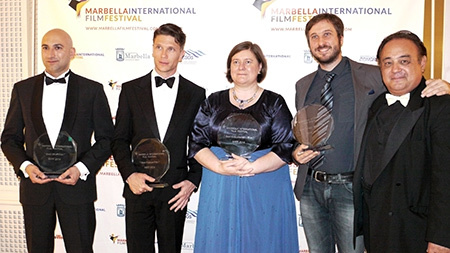 The Marbella International Film Festival is the flagship project for the group and helps them to secure their overall goals whilst still delivering a vastly entertaining event which is held in high regard with the world of cinema and film. The film festival in Marbella takes place annually at the beginning of October and aspires to bring together international artists from all over the world to show off their talents. The festival has received recognition from the international community and has rapidly grown in stature since it was first unveiled in 2006. Since its beginnings, the Festival has expanded significantly as a result of the contributed which it's been attributed with making to the arts community. Marbella Town Hall and Tourist Board, the Andalucía Film Commission and the Marbella Film Office are all now working together to create a seamless approach. Over the course of the Festival there are five main events, which lead towards the Gala Awards Ceremony held on the final evening. As part of the awards, film directors, filmmakers, VIP guests, industry professionals, exhibitors, celebrities, dignitaries as well as the rich and famous are all in attendance. During the festival a full programme of films will be running showcasing all the nominations in each category. In advance of the schedule, trailers of the films can be found online at the event website. The films are offered in a range of languages, with and without subtitles and aim to bring commercial awareness to talented artists whose work may otherwise go unseen. In addition to these new works, old classics offered free of charge are also featured during the programme. The Marbella International Film Festival takes place in the city of Marbella each year, and was chosen in part for its year-round sunshine and warm climate as well as for its beautifully picturesque surroundings and history of culture. Despite its contemporary developments designed to meet the exuberant tastes of the extremely rich and famous, Marbella has never lost touch with its roots, and still offers an authentic Andalucía experience to all who visit. With impressive architecture, both traditional and modern, immaculate golden beaches, crystal clear waters and flower-filled plazas, it's hard to imagine a more scenic setting to spark the imagination. The exact venue in which the festival is based is subject to change every year, but is typically one of the top quality hotels in the city, in a central location that's easy for everyone to reach. Puerto Banus is a popular part of town for the festival to be based due to its proximity to the yachts bobbing in the harbour, and its abundance of exclusive boutiques and restaurants. Marbella also possesses plenty of facilities for conferences which during the festival can be used for workshops, presentations or conferences. With the latest audio-visual equipment, including simultaneous translation facilities, international visitors can feel right at home and get the most from what's going on. A major part of the Marbella festival is networking so having sufficient facilities to make these mini-events a success is vital. The exact subjects of the workshops will vary from year to year but will feature VIP guests giving presentations and advice. In 2014 some of the special guests included Andy Loveday, Mary Hare and Brendan Foley, the latter being an acclaimed and award-winning Irish writer, producer and director who has worked with some of the top Hollywood stars. It's difficult to describe the magnitude of the Marbella International Film Festival, but during the five days, the entire city is caught up in the occasion. As well as the workshops and the schedule of events, there's an 'Art at the Fringe' exhibition which allows artists from other types of media to showcase their work. This could include fashion, photography, sculpture, jewellery and performance arts. The aim is to create a worldwide event which celebrates new and alternative artists in all forms, and works to deliver commercial awareness and interest in their creations. The Marbella International Film Festival may not have the same instantly-recognisable films that Cannes offers, but when it comes to passion, excitement and glamour, Marbella is impossible to beat.